Tests! Life seems to be full of tests – math tests, English tests, spelling tests and history tests. Don’t forget about the never-ending-fill-in-the-dot tests. As Christians we also undergo tests. Spiritual tests. Character tests. Circumstances and events that try our souls. Unlike school teachers, God doesn’t test us to learn what we know. He tests us so WE can learn what we know. Once we learn the truth about the contents of our hearts, we are able to seek God’s healing and restoration. The Teacher takes the test. What kind of test are we to give God? Out on a limb kind of giving where only God can pull it off. We give and what does God do? I’ll pour out My blessing so you’ll have even more to give – not more to keep. … I wonder what happens when we try to hoard our gifts? For today: take the test. any other thing we can think of. To help you organize your daily study and record your experiences, please download and print the following PDF, or download the journal app to your favorite Apple device. Days Lite: My Wonderful Life App free app from App Store. Don’t forget to comment on your experience in the comment section below! Choose your test for today and be a Doer of the Word. School is in session. Test! We can’t wait to hear how your day went! Remember, God is waiting for His test. if you need to catch up, click on the links below! Study. Examine. Search. Searched in the Greek transliterates as anakrin, which means “to examine, to scrutinize, sift and question, to examine specifically in a forensic sense of a judge to hold an investigation.” What is on trial? The Word of God. Why? To see if it contains the truth, the whole truth and nothing but the truth. The final verdict? God’s Word has stood the test of truth. Communism couldn’t silence it. Hitler couldn’t destroy it. Voltaire couldn’t banish it. God’s Word is eternal. No force, power, religious system, political regime or law can silence it. And God’s Word will continue to witness of His power and majesty forever and ever, amen. Any serious student can tell you there is a big difference between reading and studying. We can read the Word of God and let its truths skim the surface or we can study the Word of God and plant it deep in our heart. Reading takes a little effort. Studying requires energy, perseverance, and a willingness to learn. Verse 11 lists a crucial aspect of Bible study. Readiness. 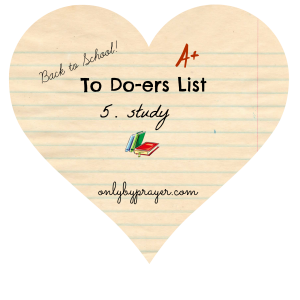 How do we become ready to study? I cannot study in a noisy room with the television blaring. 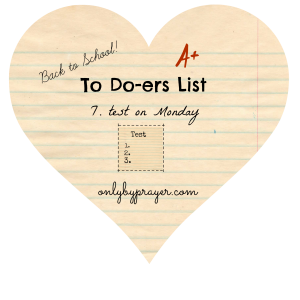 I need to set the stage for spending time with God-a quiet comfortable place a part from the busyness of the world. I have a small bedroom in my house that serves as my study place. It is furnished with a comfy chair, Bibles, commentaries, colored pencils, notebooks and (of course) electronic devices! Find a quiet place and meet consistently with God. It’s time to get your study on. We are not talking reading the Word, but studying the Word. Follow the steps below. Choose a verse for today and write it on a note card. Carry it with you wherever you go and pull it out and meditate on it as often as possible. Study your verse at www.blueletterbible.org Click on the link to the left, view the short tutorial and invest some time in the Word of God. God will reward you richly for your study. Do your verse. 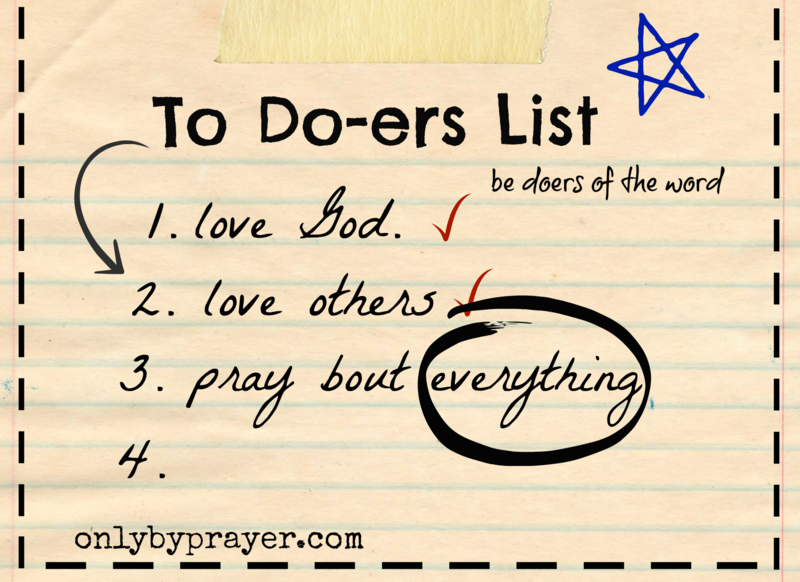 Pray and ask God to give you the strength and opportunity to be a Doer of the Word. Pray for the Holy Spirit to open your mind to the truth of God’s Word. Don’t forget to comment on your experience in the comment section below! Choose your verse/s for today and be a Doer of the Word. School is in session. Study! I love the digital age. Cell phones, iPods, laptops, e-readers. Technology – I am all about it. Technology has not only changed businesses and industries, it has also impacted the education system. Now, back in the day, when I went to college, we stood in line for HOURS to register for classes and buy our books. Today, it’s done by a few clicks of a mouse. Instead of juggling huge stacks of hardcover books, thanks to technology, many students tote a lightweight iPad, pre-loaded with textbooks. As students of the Word, there is only one book in which we need concern ourselves, the Book of the Law, otherwise known as the Bible. As students of the Book, we have two assignments: 1) constantly speak the Book (God’s Word), and 2) constantly think the Book. everything we say should be soaked in the truth of the Word. What we say either lines up with the Book, or it doesn’t. Let’s take a test. And yes, it’s open Book. Would the words you speak about others be found in the Book? Are they true? Are they beneficial to the hearers? Do you speak God’s words over your friends, about your friends, to your friends? Would the words you speak about your circumstances be found in the Book? Are they true, encouraging and full of grace? Do your words speak life or death into your circumstances? Would the words you speak about yourself be found in the Book? Do your words about yourself agree with what God says about you? You are called chosen, loved, redeemed, gifted and needed. Listen to your self talk. Don’t let Satan get a word in edgewise. The verse today shows a progression: word in, think, speak, and do. 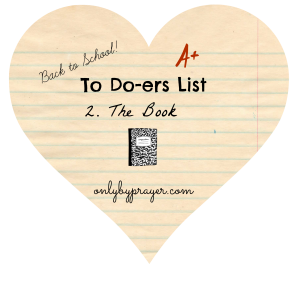 Choose a verse, and write it on a note card. Meditate on it. Ask yourself these questions. When should I do this? How shall I do this? Why should I do this? Speak God’s Word into your challenges and situations. Pray it aloud. Do what it says. Feed the poor. Forgive your enemies. Love the hurting. Pray about everything. Don’t forget to comment on your experience in the comment section below! Choose your verse/s for today and be a Doer of the Word. School is in session. Time to hit the book! When I was little, my sister, Carol and I used to play a game called Trust. To play Trust, two people stand one behind the other, both facing the same direction. The person behind (the catcher), puts out her arms and says fall. The person in front (the faller) closes her eyes, stiffens her body and falls straight back into the arms of the catcher. The catcher of course catches the faller, thus building a relationship of trust. Fall and catch again. Perhaps, you are wondering why we bothered to play such a predictable tedious game. After completing round one, the catcher takes a step back and the process repeats. After a while the game gets a little dicey … will she catch me? The stakes get higher … will I hit the floor? At some point in time a smart faller calls it quits. After all, you are only as safe as the one who is catching you. In the game of life, God calls us to trust Him. He is standing right behind us saying fall. You lose your job … God says fall. You receive news from the doctor … God says fall. Your husband is transferred … fall. Your marriage becomes stormy … fall. Your child drops out of college … fall. Trust God and fall into His everlasting arms. God is omnipresent. Because He is everywhere, at every time, all at once, He is always able catch you. It may seem He is stepping back, but He is never any closer to you at one moment than any other. Fall into His will concerning your new job, your move, your transfer, your sickness, your debt, your marriage, your singleness. You are as safe as the One who is catching you. Trust God. Trust God with all your heart. Read today’s verse again … with all your heart. Not part, but all. How well would you function with part of your heart, say only the right ventricle? Yet so many people try to. I know I have. I can trust God with my job, but my children? 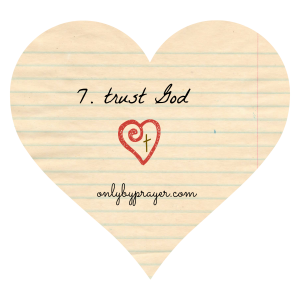 Trusting God with part of your heart will leave you with a heart condition. Not healthy. You may sustain life, but you will never be able to run, soar, and live the abundant life with part of your heart. You will limp along in the shadows, living a half-hearted life. Trust God with all of it. He wants it all, every corner of your heart: relationships, career, school, friends, children, family, love, hate, hurt, blessing. He says fall and you let go. He’ll ask you to trust Him with more of your heart, bit by bit, until you finally trust God with all of your heart. Trust God. Trusting God will not always make sense. Some people will think you’re crazy. Others will TELL you you’re crazy. You may lose friends over it. I have experienced all three. Trust God anyway. My greatest victories have come when I have listened to God and trusted Him, despite the voices of others. Remember, God will never call you to do any thing which contradicts His Word. Take a moment and pray. Ask God to show you what areas or situations of your life you need to entrust to Him. Don’t hold back. If He wants you to speak, do it with all your heart. 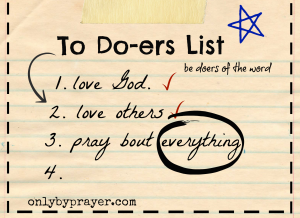 If He wants you to pray, do it with all your heart. If He wants you to reach out in a new way, trust God and do it with all your heart. 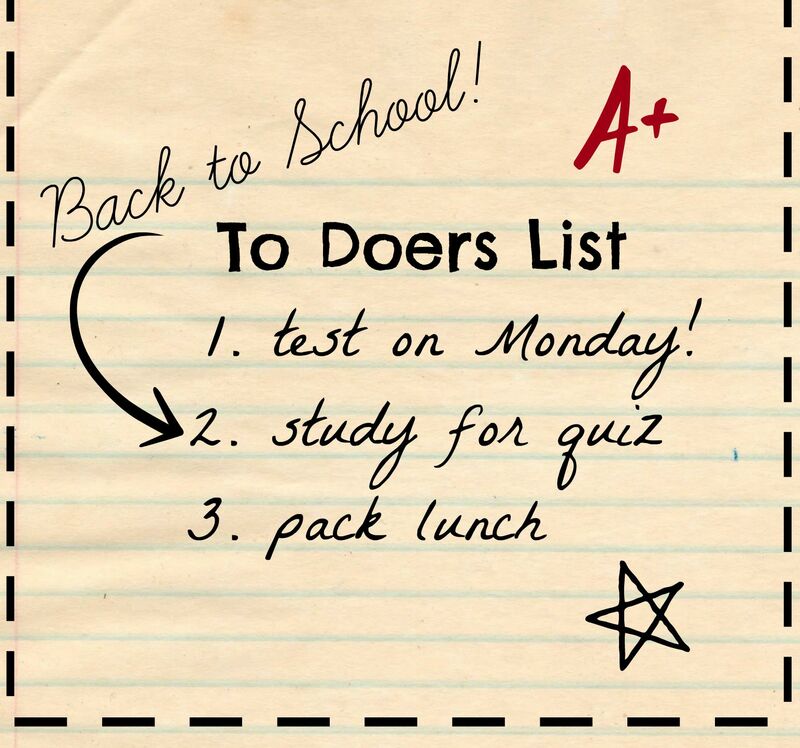 Use the To-Doers List Study Guide or a journaling app to plan and journal your day. 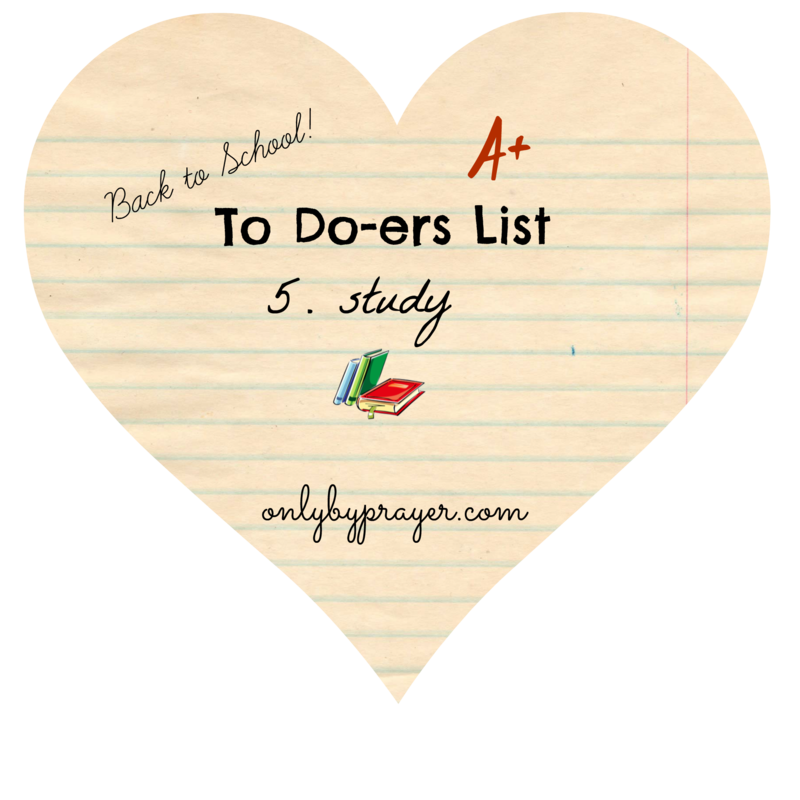 Note: the To Do-ers List Study Guide will greatly enhance your time with God. For ideas on how to trust God, please check the resources below. Please take a moment to pray and ask God for His strength to do good to everyone you meet today (and the people you live with). Don’t forget to leave a comment in the comment section below. Have a blessed day! 15 “See that no one pays back evil for evil, but always try to do good to each other and to all people. There was a saying when I was growing up, “It’s payback time.” Eye for an eye. Tooth for a tooth. If someone did something to you, you did it back to them and then some. It was the law of the street. One of the problems with paybacks, however, is they never end. The cycle of hatred churns and escalates. Do we even remember what we are fighting about? God has a different idea. Do good. Always do good. Instead of payback, pay-it-forward. Good for evil. Blessings replace cursing. Help instead of hate. 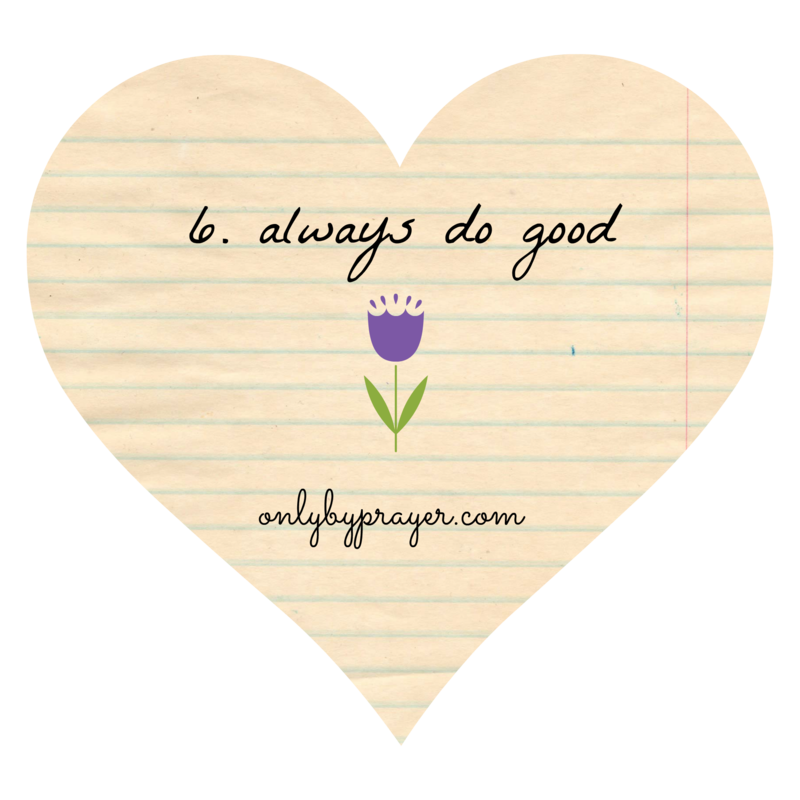 Always do good. Because that’s what God does; it’s who He is. It’s what He did for us. While we were yet sinners, Jesus died on the cross for us. We were enemies of God by our wicked works and He died for us. What if He had waited for us to do something GOOD until He did something good? He’d still be waiting while we spent eternity in hell. sacrifice our right to be angry, our right to be hurt, and our right to be bitter. It’s part of the abundant life. This one is hard for me. Really hard. I learned and lived by the law of the street. I can payback like the rest of ’em. It’s a wonderful witness when you convey a rude gesture and have a fish sticker on the back of your mini-van. I still struggle with it today. Why? Pride. I’m better. I act better. I think better. How dare you do that to ME. It’s ugly and sinful. But, by the power of the Holy Spirit and the Word of God, I’m making progress. God repays evil with good. It’s a choice we make … to love instead of hate, to bless instead of curse, to always do good. We were created in the image of God. Like Father, like daughter. He is good; therefore, we must always do good. Today will be tough. Look for ways to do good to those who aren’t good to you. Doing good to another can be a kind deed, graceful words, or prayerful thoughts. Look to do good to everyone, regardless of how they treat you. Do we always do good because others deserve it? No, we always do good because it’s the right thing to do. 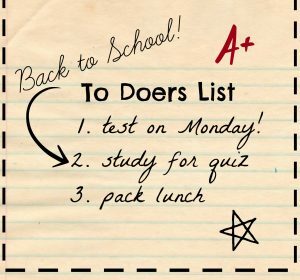 For ideas on how to always do good, please check the resources below. If you missed a few days, you can catch up by clicking the links below. Please take a moment to pray and ask God for His strength to do good to everyone you meet today (and the people you live with). Don’t forget to leave a comment in the comment section below. Please remember, Jane and I have been praying for you. Have a blessed day!